Cinque Terre. 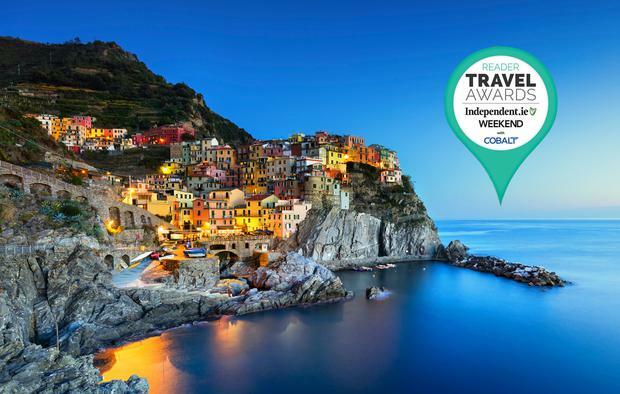 Italy is 'Ireland's favourite (overseas) destination' in the Reader Travel Awards 2018. We asked our readers to nominate their favourite overseas holiday destination for 2018... and here's the result. We’ve got a classic rivalry on our hands. Spain remains Ireland’s most visited holiday location, with an estimated two million trips in 2017 (a record year). But when push came to shove, you voted Italy as Ireland’s favourite overseas holiday destination. “You cannot have a bad holiday in this fantastic country,” you told us. 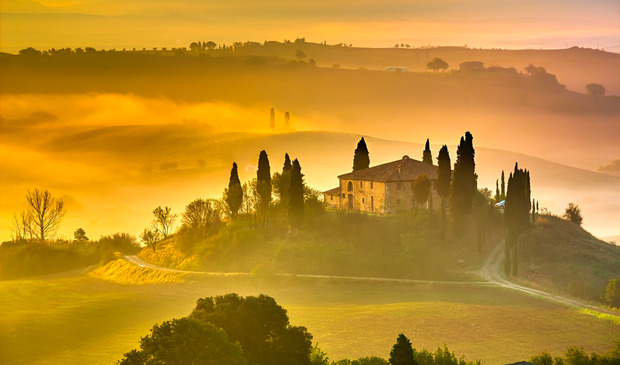 In Italy, readers rhapsodised about “mouthwatering” food and “amazing wine”, zeroing in on destinations ranging from Lake Como to Sicily, the Amalfi Coast, Florence, Cinque Terre, Rimini (“it’s some spot!”) and Venice (“where I can feel I am part of a Canaletto masterpiece”). Our judges noted that access to Italy has improved hugely in recent years (the latest addition? Ryanair flights to Napoli). Few countries offer the kind of diversity you can get here — from skiing the Dolomites to eating cannoli in Sicily — but Irish people also have a deep affinity with Italians. Locality and family are so important to both, and an increasing number of Irish couples are getting married there. “You never have to go far to be immersed in Italian culture, magnificent food, cobbled stones, history and ruins from north to south,” you said. Our readers love trying new places.